This book was a good beginning to a new paranormal series. 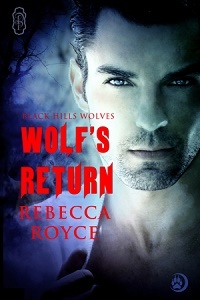 It features an intriguing premise surrounding the troubled Black Hills Wolf Pack. Rebecca Royce gets the series off to a fine start with the first book. The author did a great job on this short story about a prodigal son who returns home to reclaim his place in the wolf pack that is in trouble. Here was where things got emotional for me. I liked both of the main characters but I felt pretty bad for Drew who had to make some tough calls. He got things done and then had to earn back his mate’s trust. It wasn’t an easy thing to do. The writing is really good so I was able to connect with the characters. It was a fast paced story that I enjoyed reading. I look forward to reading more of this series in the future.